The Colleoli holiday home complex is situated on a farm in the heart of Tuscany, immersed in the lush surroundings of the Pisan hillsides. The area is blessed with a multitude of vineyards and olive groves, and is just a stone’s throw from Pisa, Florence, Volterra, San Miniato, Siena and San Gimignano. The Colleoli holiday home complex extends across a truly magnificent estate that covers a total of 2,020,000m2 – the guests’ quarters are located inside the farmhouse, which has been fully refurbished in traditional Tuscan style. As a guest here, you will have myriad opportunities to get close to nature, whether by diving into the clear waters of the swimming pool, taking a walk through the woods or setting out on an excursion to one of the many sites of historical and cultural interest in the surrounding area. The Colleoli holiday home complex offers guests every imaginable comfort to guarantee their complete satisfaction. The restaurant and catering service ensures guests enjoy the very best of the Tuscan culinary tradition, and the estate on which the complex is located even produces its own gastronomic delights. Moreover, the rooms themselves are exceptionally welcoming and stylish. The Colleoli complex is the ideal venue for banquets, weddings and all other types of ceremonies. The farmhouse has been completely overhauled in typical rustic Tuscan style, and the estate also has a wonderful garden, complete with swimming pool. The hillside location affords some of the most fantastic panoramic views to be had anywhere in Italy. In addition, the restaurant menu offers interesting takes on traditional and classic dishes, expertly prepared by Oriana and Loretto. Aldo is always on hand to give you advice and organize an exclusive wedding for you. Any ceremony that takes place against the dramatic backdrop of Colleoli is sure to be an unforgettable occasion! Possibility of horseback riding on american sadles within our ranch. 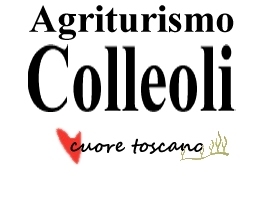 Shuttle service (payment) operates from Pisa Airport to our holiday farm in Colleoli.